On the hunt for the most incredible stories in Canadian history. Congratulations! Why did you make your webseries? Thank you! Well, the four of us behind Canadiana are all very interested in history, but have been equally disappointed in the treatment of Canadian history documentaries in our country. They tend to be dry, formulaic, and either stretched to fit an arbitrary broadcast length or squeezed into a one minute vignette (like the famous Heritage Minutes). As Canadians, we see our cities and towns turned into foreign movie sets, and our lives are flooded with the history of other nations. Our country is no different from any other; we also have a rich backstory full of exciting, dramatic, and haunting lore. The trouble is, it’s never been properly exposed in any medium besides print; the average Canadian—let alone global audience—hasn’t been given the chance to enjoy it in an entertaining way. Canadiana was created as a web series so that we could do Canadian history the right way, and in doing so bury the phrase, “Canadian history is boring,” because it’s anything but. Imagine I’m a member of the audience. Why should I watch this webseries? Canadiana is a visual adventure that is shot in some of the most spectacular sites Canada has to offer. 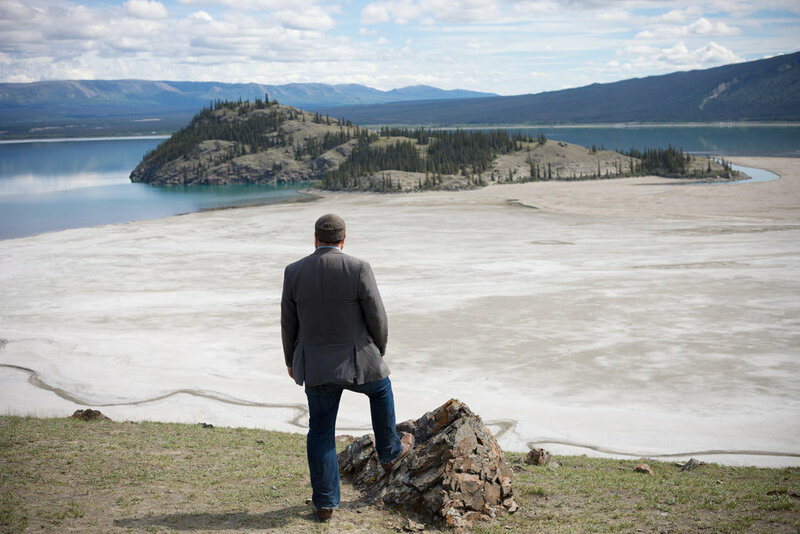 By the end of our second season, the series will have brought viewers to the ruins of a mysterious laboratory in Quebec, into an abandoned POW camp in rural Ontario, over the Chilkoot Trail to Yukon’s Dawson City, down the haunted alleyways of Victoria’s Chinatown, and deep underground to a world renowned science facility in Sudbury––just to name a few. 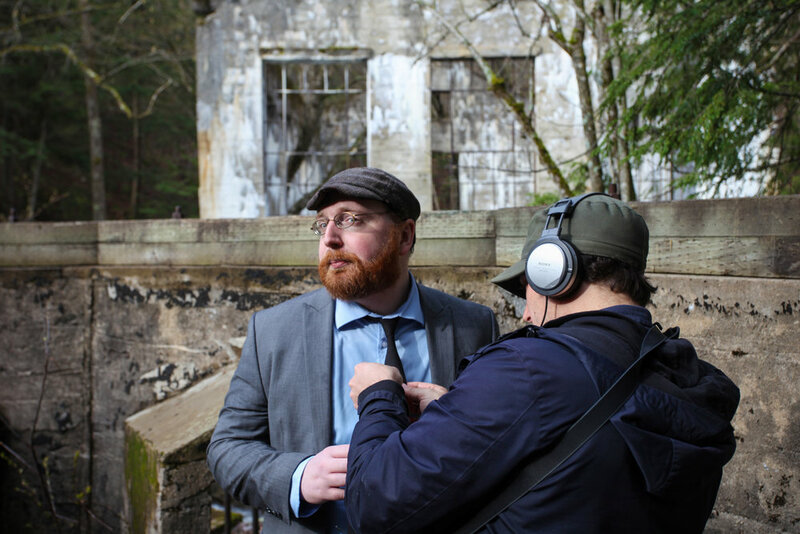 Canadiana - Host Adam Bunch at the ruins of an inventor's secret laboratory in Quebec. With the help of cut-out archival characters and artful animations, we’ve covered stories about soldiers, inventors, princesses, rebels, monuments, murderers, prophets, and poets. Canadiana has delved into some of the most important events in the country’s history: the Second World War, the age of slavery, the conquest of New France, the turbulent 1960s, and even a prehistoric comet strike 1.8 billion years ago. So we’ve really got something for everyone! How do personal and universal themes work in your webseries? Canadiana is an open tapestry of stories, so the subject matter varies wildly from episode to episode. We cover the highs and the lows, the heroes and the villains, and everything in between. That being said, there are a handful of thematic choices we make based around maintaining a diverse series that best represents the multiculturalism inherent in Canada’s past and present. Immigrant tales, Indigenous stories, and narratives focused on women figure prominently. The subject matter is as eclectic as the people who inhabit this vast country. We’re still a fairly new channel—just 10 episodes in—so we’re continuously evaluating what works and what doesn’t, but I would say we’ve learned that shorter, single-note episodes are never as popular as the more nuanced and layered stories we’ve released. We also make changes to nearly all of our scripts during post-production, whenever we sense a scene is feeling dry or confusing. We often tend to cover those bits with an entertaining animation and new narration, which takes a lot more time but is ultimately worth it for a better episode in the end. The feedback so far is really heartening. We get comments like: “I wish these videos were around when I was in school,” “I had never heard of this story before!” and “Keep doing what you’re doing.” Canadians want to know more about their country, that much is clear, but they also want to feel engaged with the history that’s made Canada the place it is today. The rest of the world falls into a similar realm, if one step removed—Canada is a mystery to them because the typical narratives have never been told in an entertaining way here, nor have they ever been so freely shared with a global audience, nor has there ever been so much variety in the tales told. Over 30% of our current audience is coming from outside of Canada, so that’s really nice for us to see. The view from Soldier's Summit in Kluane National Park, Yukon. This is the spot where officials from Canada and the US met to declare the Alaska Highway officially open. We are surprised by the interest from outside of Canada, for sure. But then I was recently speaking with a woman who once worked for the Journal of Canadian Studies, and she told me that this isn’t surprising at all— that there’s an enormous foreign interest in Canadian Studies. It definitely bodes well for the sustainability of the series, because I’m not sure we could survive on a Canadian audience alone. We’re grateful for the exposure your website provides. Like everyone else in this industry we’re looking to grow a loyal audience so that we can hopefully attract more funding in the form of sponsorships. In Canada a new web series like ours with no celebrity power tends to be overshadowed by the bigger players, and for the most part the media hasn’t taken much notice to us yet. It’s a bit of a roadblock because we’re missing out on the traffic that could come from other websites—without press you rely on your own social media bubble and the occasional paid promotion, but even that can only go so far. When other websites mention our episodes and link to us, we do see spikes in new viewers, and so we’re thankful for the opportunity to be featured on your site. Who do you need to come on board (producers, sales agents, buyers, distributors, film festival directors, journalists) to amplify this webseries’ message? Well, we have an educational distributor (McIntyre Media), and we’ve been successful in one production grant so far, but we’re going to need more financial support to continue this beyond next year. The biggest thing for us would be to get to the point where we can attract sponsors. And to get us there, I think having a few journalists on our side covering this project would certainly help us to raise awareness, expand our audience, and gain a little bit of prestige for the series. What type of impact and/or reception would you like this webseries to have? Our aim is to become a go-to resource for all things Canadian history. Canadiana is a part of the new wave of YouTube channels and social media influencers that are attempting to make educational videos enjoyable and engrossing, attracting audiences of every generation to share and participate in the incredible true tales our country has to offer. Between the Canadiana series, website, and social media platforms, we’re working hard at becoming a new player in the legacy of historical documentary in Canada. What’s a key question that will help spark a debate or begin a conversation about this webseries? Thank you for the opportunity to be featured at We Are Moving Stories. Your website is lovely, and as independent filmmakers we are fortunate to have a platform like yours that gives us a space to be seen and heard. About the writer, director and producer: Canadiana is created by Ashley Brook, Kyle Cucco, Adam Bunch, and Josef Beeby. It is produced by Ashley Brook, co-written by all four creators, and hosted by Adam Bunch, with production and post-production by Kyle Cucco, Josef Beeby, and Ashley Brook. Looking for (producers, sales agents, buyers, distributors, film festival directors, journalists): Journalists and sponsors. Where was this filmed? Across Canada. Funders: The Bell Fund (Season 2).